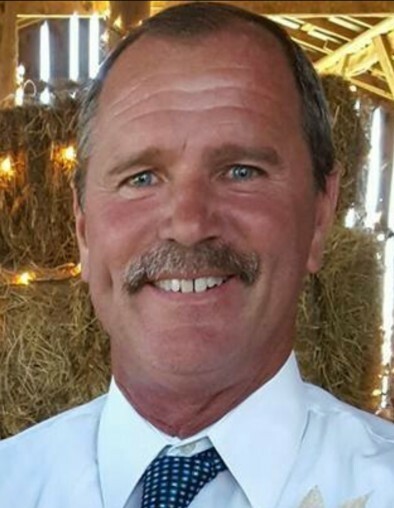 Bruce Allen Harper, 51, of Greers Ferry, Arkansas was called home to be with his Lord and Savior on April 27, 2018. Bruce was so many things to so many people. He was a loving husband of 32 ½ years to his wife Norma. He was the ultimate dad to his two children. He was Poppy to his granddaughter, Amelia whom he loved to spoil. Most importantly he was a good and faithful servant to his Lord Jesus Christ. Bruce loved his family more than life itself. He especially cherished spending every second with his wife whether it be a sunset cruise on the lake or a cross country adventure. Bruce also had a love for bringing people to Jesus. He never hesitated to offer the gospel to anyone that he met. Even though Bruce has left this Earth for Heaven he has made lasting impressions on the people that he knew. Bruce was a member of Greers Ferry First Assembly of God Church. He is survived by his loving wife of 32 ½ years, Norma Harper of Greers Ferry; His son, Cody Allen Harper and his wife Ashley of Pocahontas, Arkansas; his daughter, Tiffany Renee Harper of Maumelle, Arkansas; his granddaughter Amelia Harper of Pocahontas, Arkansas; his mother, Mickey Harper of Greers Ferry, Arkansas; his brother, Bill Harper and wife Debbie of Greers Ferry, Arkansas; many in-laws, nephews, aunts, uncles, cousins and many other loved ones and friends. He was preceded in death by his father, Bill Harper, Sr., grandparents Otis and Lorene Harper and Melba and Bob Hayes. Pallbearers will be Russell Jones, Joshua Gentry, Kyle Human, Eddy Whitehurst, Dennis Higgs, Mike Story, Shane Khoury and Mark Mathis. Honorary Pallbearers will be Bill Harper, James Pilkinton, Doug Mathis, Danny Jarrett, Chad Tyler, Clint Cypert and his nephews and nieces. Pastor Mark Palenske will be officiating.